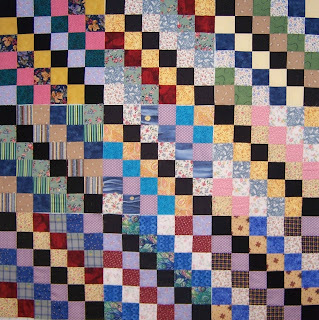 This is a quilt I made using this block 3 years ago…black was not on the corner to corner of the block though. Here are my 9 Scrappy trips blocks for this month, laid out in a straight furrows type setting. 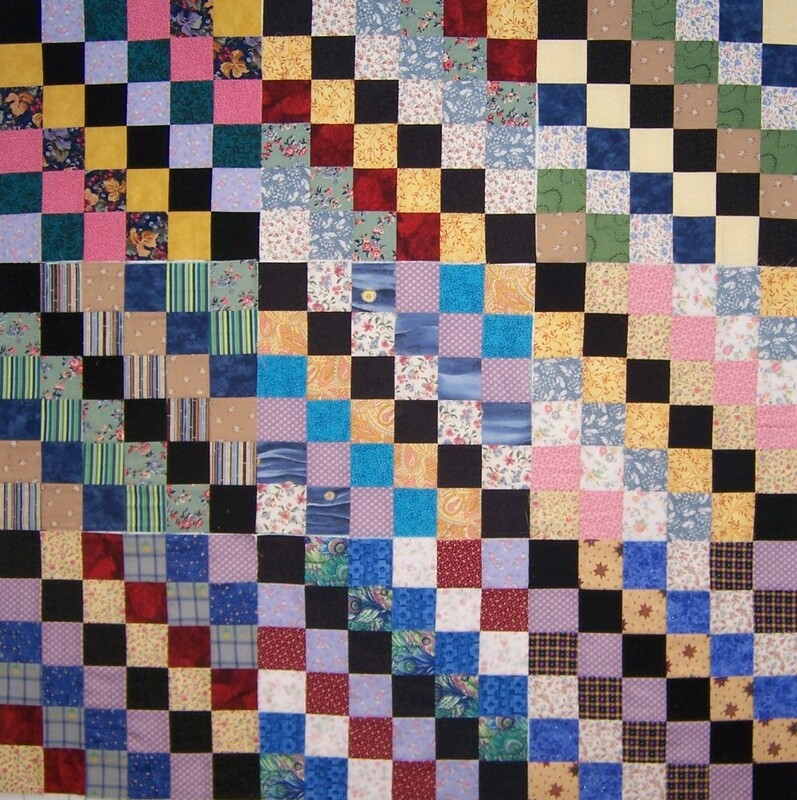 Thanks for posting a photo of your quilt. I know a few quilters in the group have made quilts from this block (or are in the process of making a quilt from them). My thinking about the strong diagonal is that you can use a lot of settings/arrangements associated with log cabin blocks, like your straight furrows.